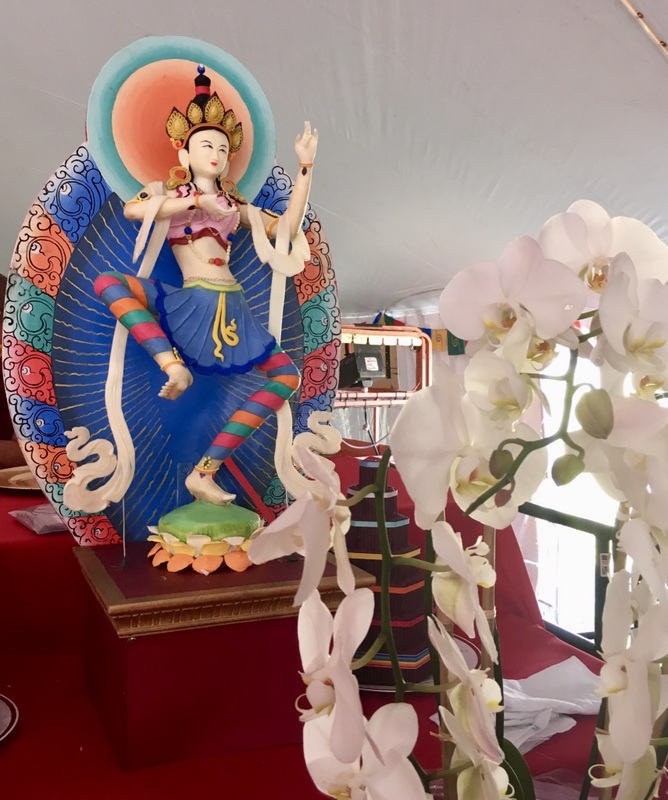 Beneath the brilliant image of the Buddha stretches a 50-foot, three-tiered altar of tormas (sculpted offerings), pyramids of incense, and heaps of fruit and sweets. 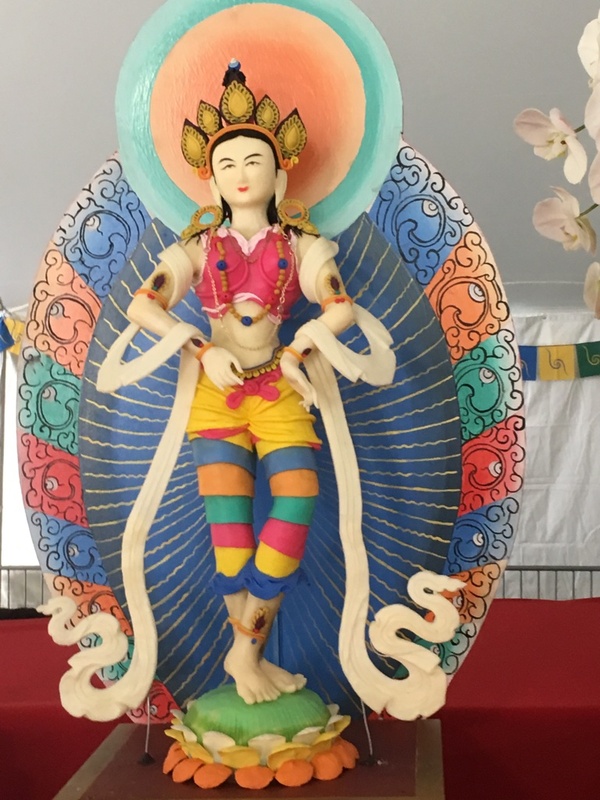 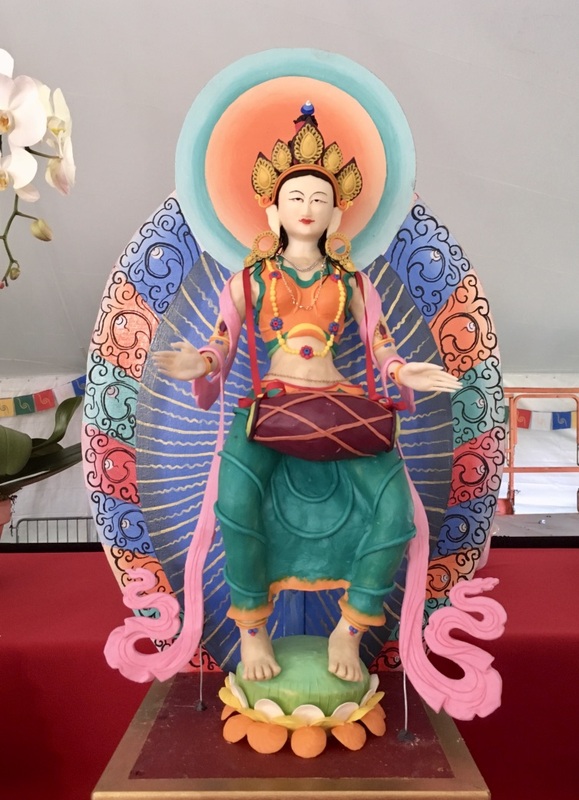 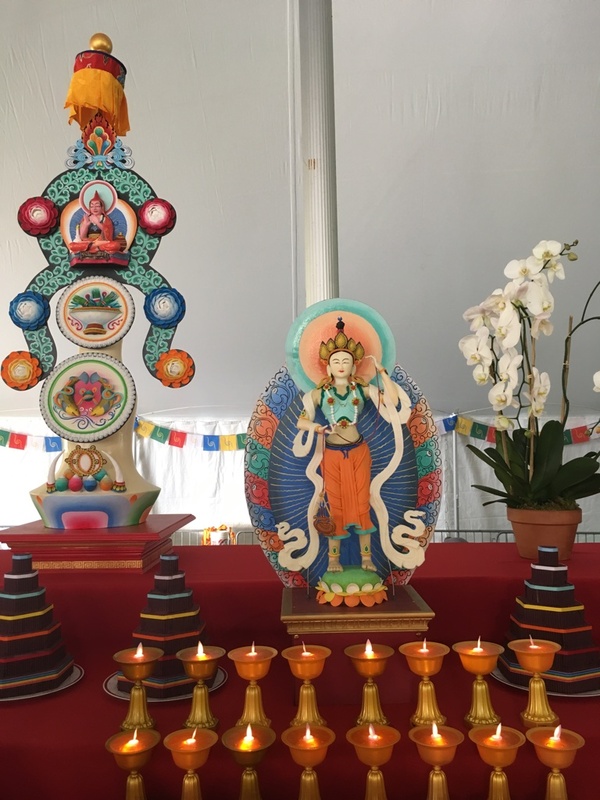 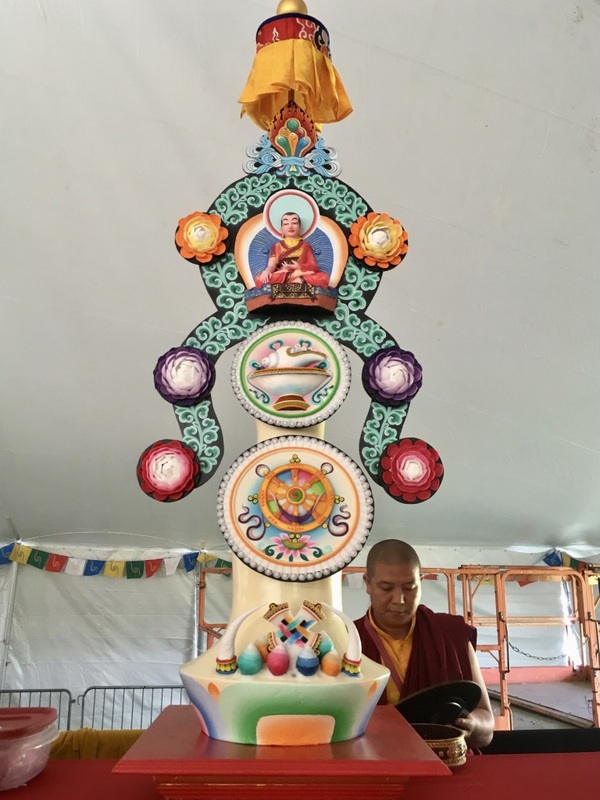 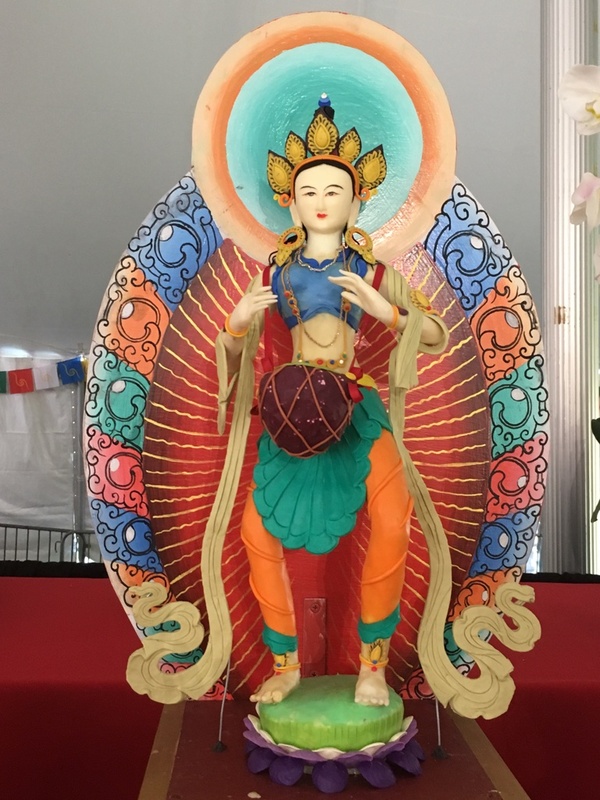 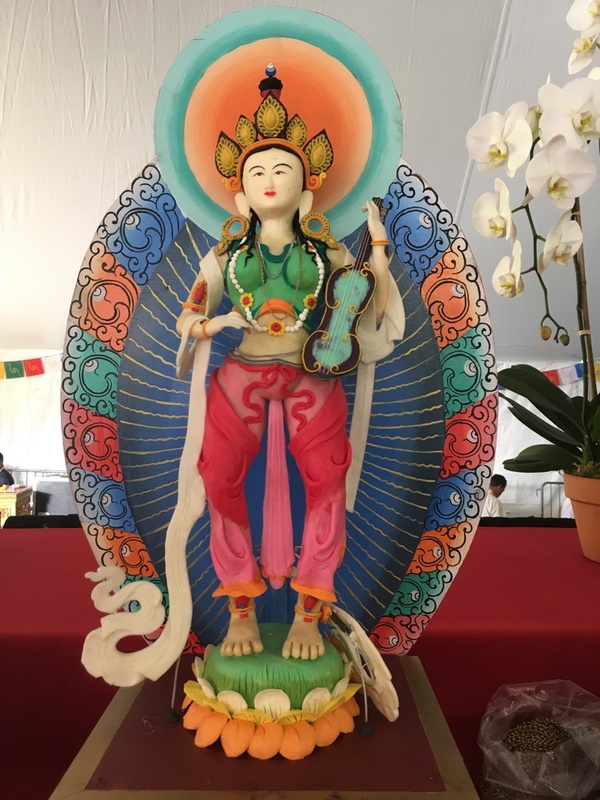 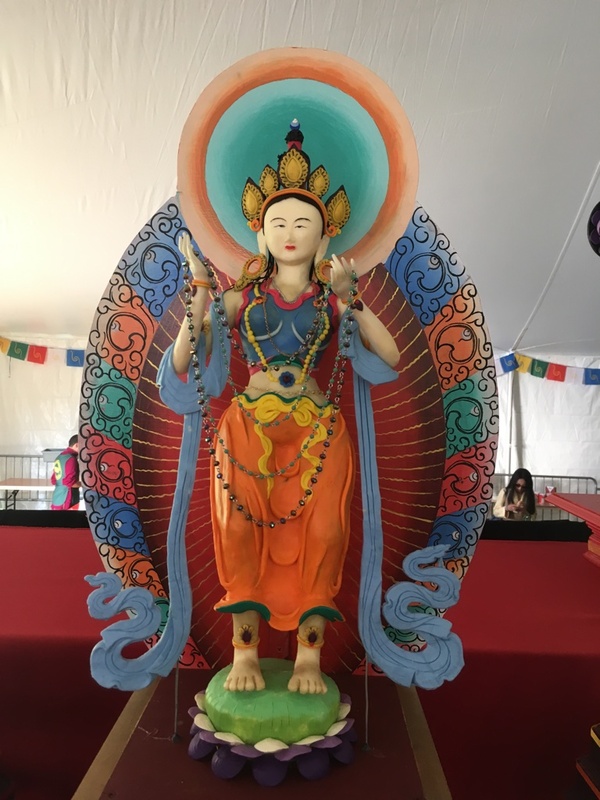 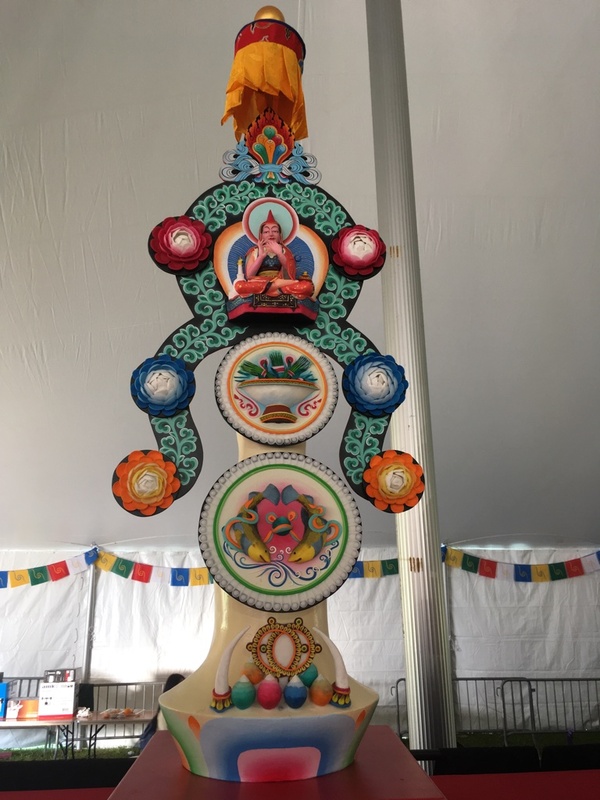 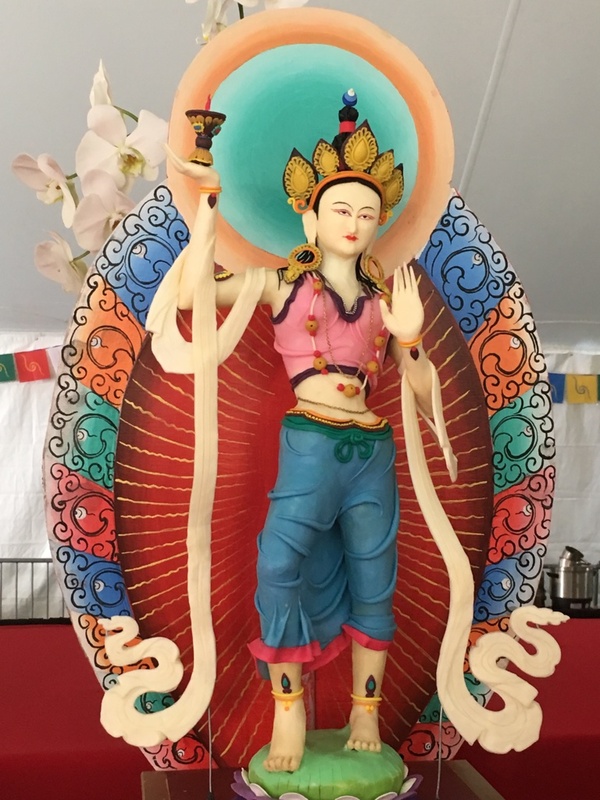 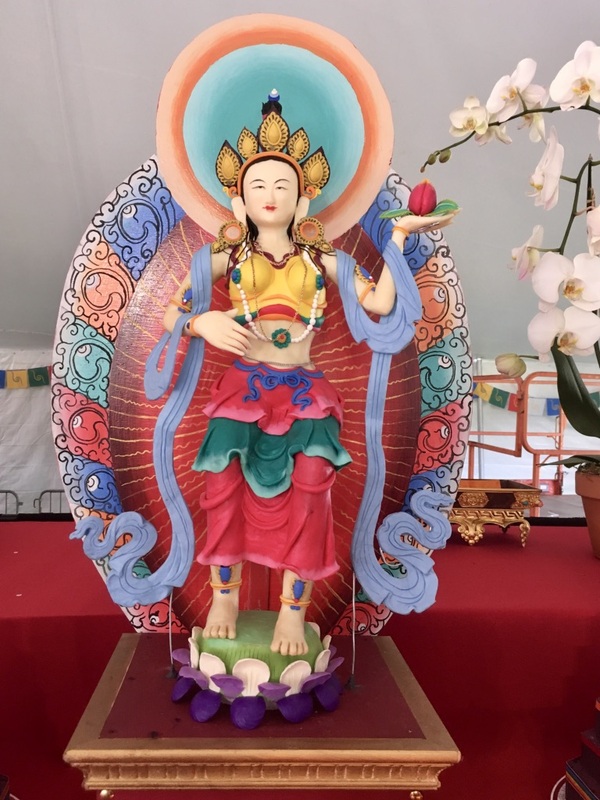 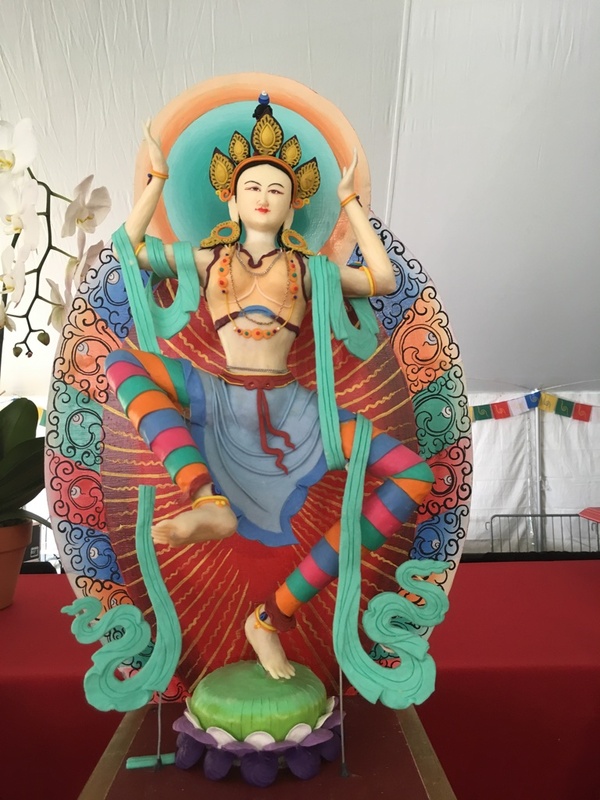 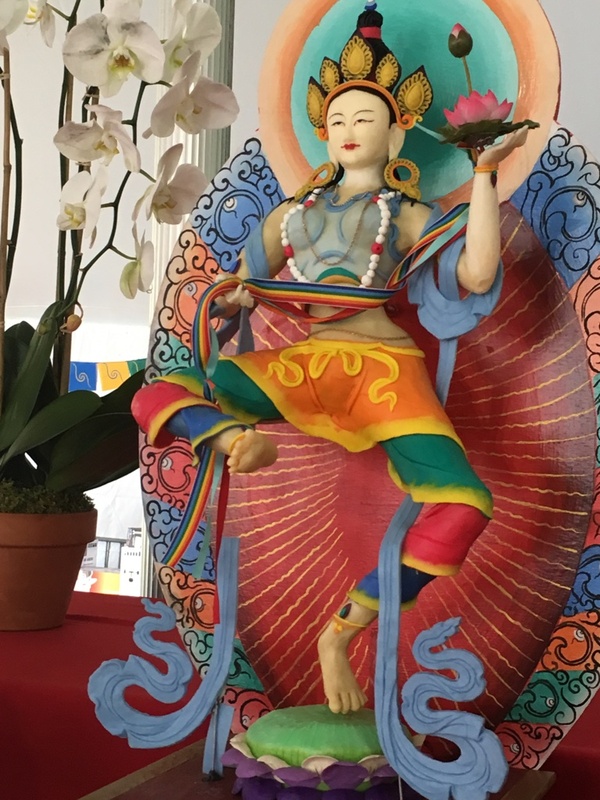 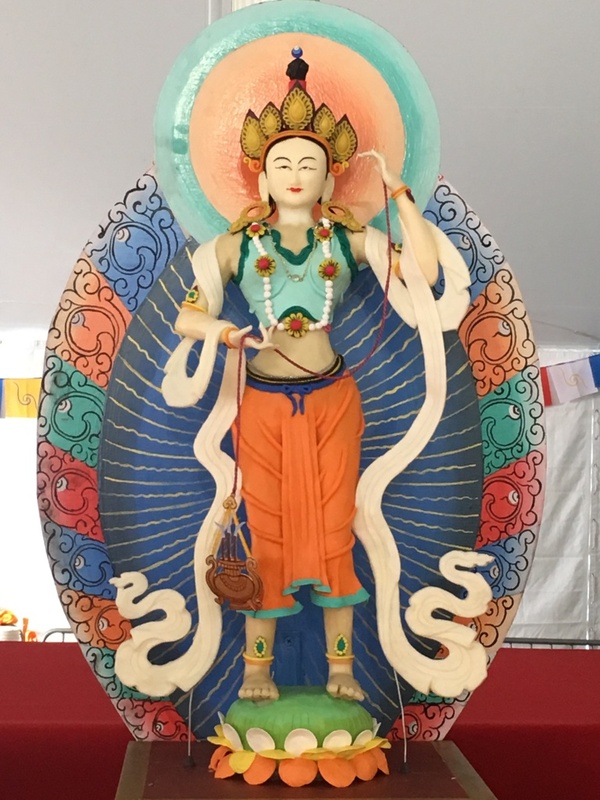 This year, the eight tall tormas on the top row depict the main figures of the Eight Great Founders of the Practice lineages, brought from India to Tibet: for the Nyingma, Guru Rinpoche; for the Kadampa, Jowo Atisha; for the Path and Fruition of the Sakya, Sachen Kunga Nyingpo; for the Kagyu, Marpa Lotsawa; for the Shangpa Kagyu, Khyungpo Naljor; for the Jonangpa, Dolpopa Sherab Gyaltsen; and for the Nyendrup (Approach and Accomplishment) of the Three Vajras, Drupthop Urgyenpa. 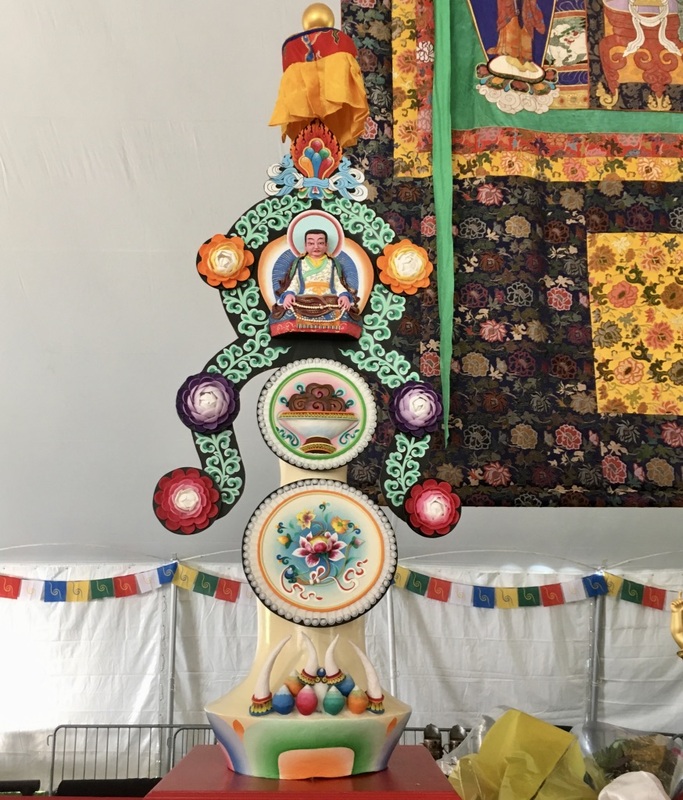 Indicating great respect for each of these eight lineages and their founders, beneath each one, depicted on two disks and on the base of the torma are one each of the eight auspicious symbols, the eight auspicious substances, and the 7 seven kinds precious metals and jewels plus one of gemstones in general. 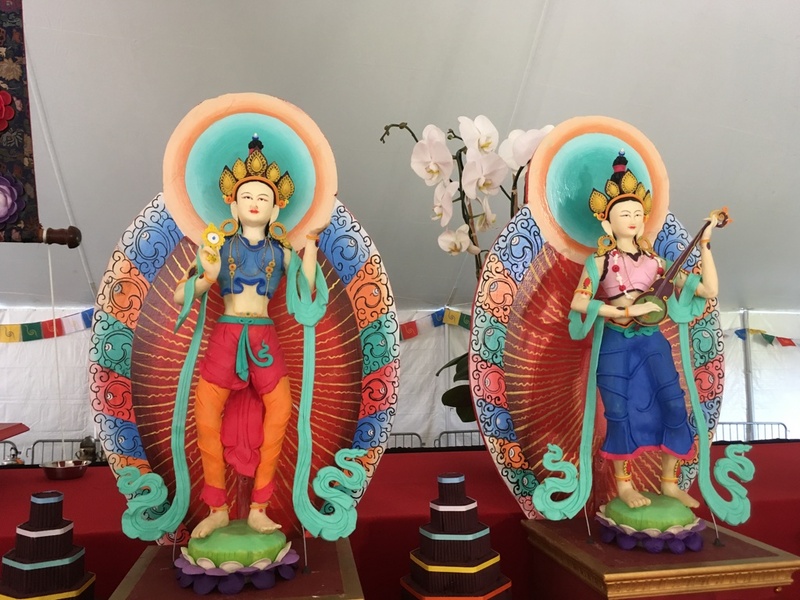 Two colorful offering goddesses from the tradition of Chakrasamvara flanked each of the eight great teachers.